Worldwide Environment focusses on various green solution portfolios covering Integrated Solid Waste Management (ISWM), Renewable Energy as well as Waste to Energy (WTE). To meet the demand at all levels in the waste hierarchy, Worldwide Environment offers wide range of expertise and capabilities through I encompassing development and construction of engineered sanitary landﬁlls, composting plant as well as Materials Recovery Facility (MRF) for municipal waste and construction waste which are all being centralised at dedicated strategic locations. Following decades of experience, Worldwide Environment also takes pride of other Solid Waste Management (SWM) signatures and innovative projects such as inert waste landﬁlls, rehabilitation and upgrading of dumpsites and waste transfer station. compliance with the highest requirement of Department of Environment, Government of Malaysia. 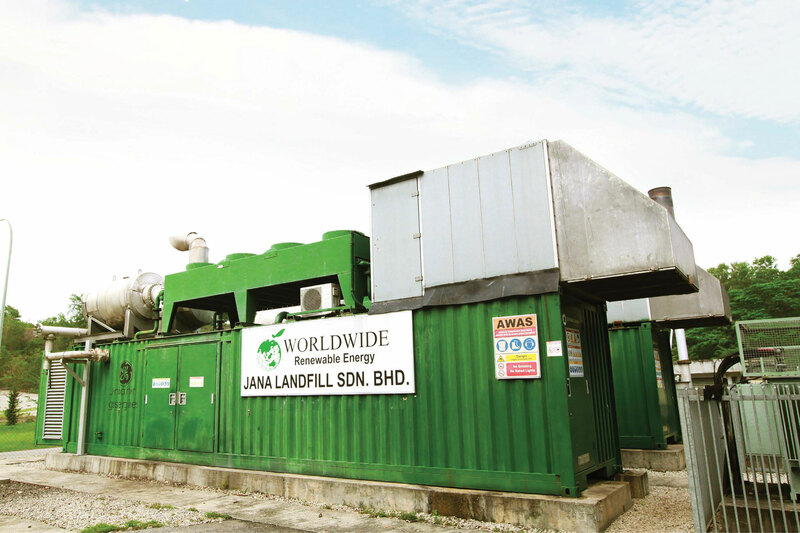 Worldwide Environment strives to tap into the Renewable Energy (RE) sectors through its innovative and award winning Landfill Gas (LFG) Plant and small hydro-electric power plants. Towards upholding SWM industry into greater heights, Worldwide Environment is embarking on the development and construction of WTE plant, ensuring effective, sustainable and long-term waste reduction to meet growing demands among the population.